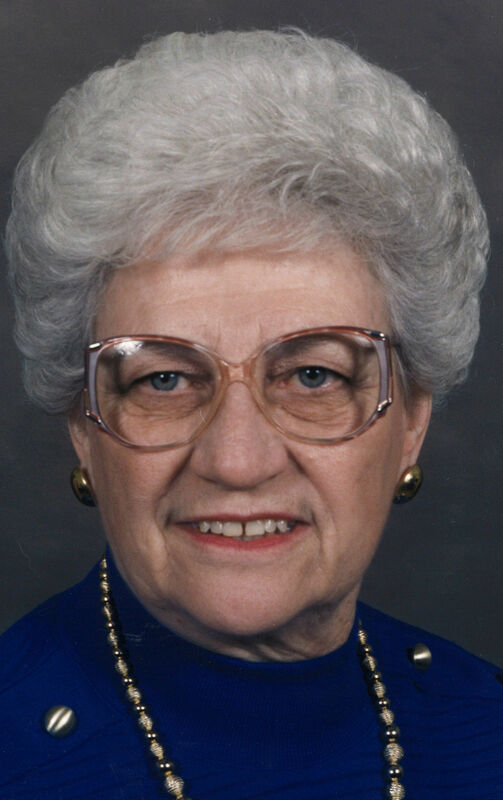 Lois Marie Nichols, 94, of Sioux City, passed away Friday, April 12, 2019. Service will be 10 a.m. Tuesday at Saint Boniface Catholic Church, with the Rev. Jeremy Wind officiating. Burial will be in Calvary Cemetery. Arrangements are under the direction of Meyer Brothers Colonial Chapel. Online condolences may be given at www.meyerbroschapels.com. Lois was born Oct. 18, 1924. She was the daughter of Lawrence and Helen (Meyer) Richter. Lois had been employed by O.P. Skaggs, Bekins Furniture, Blackstone Hardware, and retired after 15 years with Scheels All Sports in 1996. She had volunteered much of her adult life with St. Boniface Catholic Church. Lois is survived by four grandchildren, Theresa (Bramble) Martin of Colorado, Jeffrey (Joanna) Bramble of California, Deborah (Bramble) Elder of Colorado, and Christina Bramble of California; two great-grandchildren, Joline Bramble of California and Hudson Bartelt of California; a daughter in-law, Constance (Bothell) Bramble of Iowa; a sister, Dolores (Derrill) Townley of Iowa; a brother-in-law, Donald Harbeck; and several nieces and nephews. She was preceded in death by her son, Richard Bramble; her parents; her husband, M.V. Nichols; and a sister, Geraldine Harbeck. In lieu of flowers, donations may be made to Hospice of Siouxland.